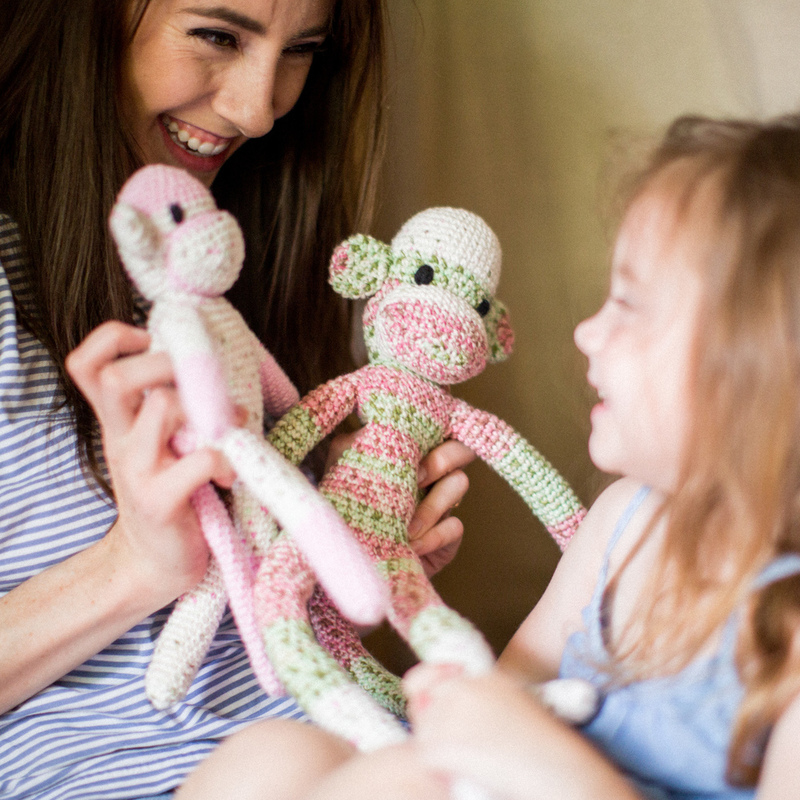 Each sock monkey is hand-crafted by women in Huancayo, Peru and fairly traded to become a toy in your child's life that teaches characteristics like friendship, love and peace. In turn, our monkeys provide work opportunity for the artisans in Peru and an avenue to pursue their talent. Shop our collection of sock monkeys and make one of our lovely monkeys a part of your family! "Once I found out about The Monkey Project and their mission they quickly became a staple gift to give to my friends who are new parents. I love gifts with a purpose and that are adorable." "I love having toys in my home that double as teaching points. Both of my kids love their monkeys and we often talk about how they were created by artisans in Peru!" "Our daughter loves her monkey, Otis, so much! It follows her almost everywhere we go!" Nubia Echevarria moved to her parent’s native country of Peru for a year. While living in the small town of Huancayo, the Artisan capital of Peru, Nubia was inspired by the talent the native artisans possessed. This beautiful mountain town, nestled in the heart of the Andes, was rich in craftsmanship but lacked work opportunity. Nubia wanted to provide a platform for these artisans & their talent and The Monkey Project was created. We have employed a skillful, talented group of women to hand-crochet our sock monkeys. We pay fair market value for each sock monkey and as our business grows, we can employ more and more artisans. The women are flourishing as they learn the value of working to earn a fair wage for their families; their income is adding capital into their communities; and in return, we are able to purchase hand-made, one-of-a-kind sock monkeys for kids and adults alike to love and enjoy. Our sock monkeys are made of a unique Japanese form of crochet called Amigurumi. Each of our sock monkeys has a name and characteristic such as love, friendship, peace and eduction to each your children values by way our loveable handmade monkeys.